PETERSON, Sir WILLIAM, classical scholar and university professor and administrator; b. 29 May 1856 in Edinburgh, fifth son of John Peterson, a merchant in Leith (Edinburgh), and Grace Mountford Anderson; m. 8 April 1885 Lisa Ross in London, England, and they had two sons; d. 4 Jan. 1921 in Hampstead Heath (London). William Peterson was entered at the Royal High School in Edinburgh and launched on a brilliant academic career. At the University of Edinburgh he was the youngest graduand of 1875, yet he headed the list with first-class honours in classics. He proceeded with a travelling scholarship to Göttingen (Germany), and then with an open scholarship to Corpus Christi College, Oxford, where he won the Ferguson scholarship in classics and secured a first in classical Moderations and, anomalously, a second in the final examinations. After a brief experience in teaching at Harrow, he was invited back to Edinburgh as assistant professor of humanities and only two years later, in 1882, at age 26, he was appointed principal and professor of classics at the newly opened University College in Dundee. Initially, the college prepared its students for degrees at the University of London; Peterson conducted delicate negotiations and obtained highly satisfactory terms for the affiliation in 1897, two years after his departure, of University College with the University of St Andrews. The University of St Andrews had honoured him with an lld in 1885. After 13 years in Dundee, during which he contributed much to the college, Peterson was appointed in 1895 principal of McGill University, Montreal. 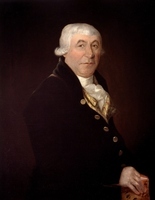 He had attracted the attention of McGill’s chancellor and patron, Sir Donald Alexander Smith*, who was looking for a successor to Sir John William Dawson*. 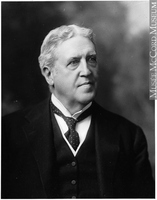 During his 38-year tenure as principal, Dawson had raised McGill from destitution to national and international prominence. McGill’s leadership was particularly evident in medicine, law, the sciences, engineering, architecture, and general education. Through its normal school, its provision of Canada-wide matriculation examinations, and its offer of affiliation to colleges with first and second year programs, McGill had made a major contribution to education throughout Canada. Peterson’s immense challenge was to maintain and build on this momentum. His inaugural lecture, adumbrating a philosophy of education, showed him well prepared for the task. He said that, in order of teaching, humanistic subjects should precede professional ones and that pure learning should precede applied knowledge, but he also recognized that the development of pure science was attained by responding to the practical needs of life. The university’s task, he stated, was to give practical men a sound training in theory and to ensure that theorists kept in touch with practice. Its main goal, however, was to produce good citizens, men and women of character. These views served him well in his dealings with the McGill faculties, where while not neglecting the humanities he skilfully guided major developments, particularly in the physical sciences, engineering, medicine, law, agriculture, and education. His concern for the sciences was symbolized by his recruiting Ernest Rutherford* in physics. In education his commitment to Dawson’s ideals was evidenced in the leading role he took in the Provincial Association of Protestant Teachers (he served as president in 1899), in his encouragement of musical education in elementary schools, and in his editing of A junior school poetry book and A senior school poetry book, which were both published in New York in 1903 and would be reissued as one work, A school poetry book, in 1919. His interest in popular education led him to accept the Canadian editorship of Nelson’s perpetual loose-leaf encyclopedia . . . (New York, 1917). In 1901 he had supported the establishment by McGill’s librarian Charles Henry Gould* of the McLennan Travelling Library, which sent boxes of books to mining and lumber camps and isolated communities from Harbour Grace, Nfld, to Dawson, Y.T. 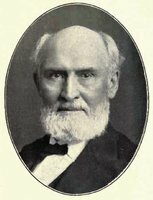 Similarly he encouraged the affiliation with McGill of colleges in Victoria and Vancouver; in 1902 he journeyed west to visit these institutions; both eventually grew into independent universities. Further afield, Peterson was appointed one of the initial trustees of the Carnegie Foundation for the Advancement of Teaching, established in 1905 to provide annuities to retired professors and to promote higher education. He eventually served as the foundation’s chairman and his connection with it took him into the mainstream of American educational developments. The administrators of the parent Carnegie Corporation thought so highly of his contribution that they recognized it in 1919 with a special, unsolicited grant of $1,000,000 to McGill. Peterson’s major preoccupation, however, was the health, and that included the financial health, of the university at home. The other royal university foundations, at Halifax, Fredericton, and Toronto, had all been supported by crown endowments in the form of extensive land grants. In the case of McGill, however, no such grants had been made, on the grounds that James McGill* had already made sufficient provision. When his benevolence was depleted and no supplementary government aid was forthcoming, Dawson had secured the patronage of wealthy benefactors. Here again Peterson proved himself a worthy successor. His major task was to ensure that Smith, William Christopher Macdonald*, William Massey Birks (son of Henry Birks), and a host of others continued their interest in the university. Relationships with Grace Redpath, widow of Montreal industrialist Peter Redpath, and with Smith’s heiress, the Baroness Strathcona, both living in England, had to be nurtured and protected. These delicate matters were handled with consummate skill; the Redpath Library and the Royal Victoria College, in particular, owe much to Peterson’s diplomacy. Macdonald’s major venture into rural education, the establishment of Macdonald College for the advancement of agriculture, domestic economy, and teacher-training, originally intended to be an independent institution, was brought into the McGill fold only by Peterson’s personal initiatives and tact. Despite his heavy responsibilities, in his early years at McGill Peterson maintained his teaching in classics and his own research continued productively until about 1914. In 1901 he had discovered in a private library in England a manuscript of Cicero’s orations which provided material for several articles in prestigious journals and for an edition of the Verrine orations, published in 1907. The work was followed by further distinguished publications, around 1910 by Cicero’s Orationes . . . (Oxford) and in 1914 by a translation of Tacitus’s Dialogus . . . (London and New York). To the end of his days, Peterson retained a high reputation as a classical scholar. By reason of his prominent social position, his Anglo-Scottish background, and his family tradition, Peterson took a natural and informed interest in public life. He decried what he saw as an unfortunate divorce of Canadian universities from the conduct of national affairs. In 1911 he invited those who were planning to attend the Congress of the Universities of the Empire in London in 1912 to meet at McGill to consider the congress agenda and to explore the possibility and desirability of speaking from a common concern. This meeting proved to be the founding of the Conference of Canadian Universities, which met again at McGill the following year and, as the National Conference of Canadian Universities (it was renamed in 1916), would become an important institution in Canadian life, especially in World War II and subsequent years. Peterson’s own role in the institution was pre-empted by World War I and his retirement and death, but the NCCU and its successors remain an important part of his legacy to Canadian education. Peterson’s many speeches and writings in the pre-war years evidenced his wide range of interests and his predilections. In Canadian politics he was a strong federalist, commenting that “we hear too much of the provinces, and too little of the nation.” Consistently, he was also a fervent imperialist, and not surprisingly was frequently attacked in publications supported by Henri Bourassa* and the Ligue Nationaliste Canadienne. His imperialism was enlightened, however. He seems to have envisaged a British Commonwealth of Nations before the term was widely used. Certainly, when in 1914 war became inevitable, Peterson and the university he led gave Canada and the empire their full, unhesitating support. 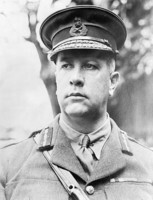 He encouraged recruiting, worked for wartime charities, and personally visited units composed of McGill students or graduates on the battlefront in France. He continued support at home in Canada through committee work and the raising of funds, and not least through the encouragement of the McGill-led Khaki University of Canada, which worked among the armed forces with conspicuous success. In these years Peterson asked too much of himself. In January 1919, at yet another charity meeting, he suffered a stroke from which he made little recovery. In April, after 24 years of service, he resigned the principalship and retired to England, where he died in 1921. Peterson had served McGill, Quebec, and Canada brilliantly, but he never became a Canadian. He was an imperial administrator, selflessly fulfilling his high destiny – like his brothers Franklin, professor of music in Australia, Peter, professor of Sanskrit in India, and Magnus, organist and music teacher in New Zealand. He was created a cmg for his services to Canada and the empire on 17 Sept. 1901 and on 3 June 1915 was made kcmg. Personally, he was unfailingly kind and gracious, but few acquaintances ever penetrated his reserve. He golfed and curled in season moderately and, possessed of a good voice, he enjoyed music, in particular singing old Scottish songs and playing his own accompaniment. His home life was very private. He returned every summer to England, where his two sons were educated and subsequently pursued notable careers. Lady Peterson died in England in 1929. Peterson was one of Britain’s greatest gifts to Canada, but he, at least, always knew that he was only on long loan. 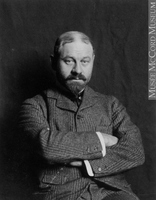 In addition to the works mentioned in the biography, Sir William Peterson is the author of Canadian essays and addresses (London, 1915). A listing of his other published addresses appears in CIHM, Reg. MUA RG 2, c.15–35. Times (London), 9 April 1885. W. M. Birks, “McGill’s principals since 1900: stories of Peterson, Auckland Geddes, Currie, A. E. Morgan, Lewis Douglas and F. Cyril James,” McGill News (Montreal), 31, no.4 (summer 1950): 7–12. Augustus Bridle, Sons of Canada: short studies of characteristic Canadians (Toronto, 1916). Canadian men and women of the time (Morgan; 1912). DNB. S. B. Frost, McGill University: for the advancement of learning (2v., Montreal, 1980–84); “Salute to Royal Victoria College,” McGilliana (Montreal), special issue (February 1980): 1–12. Ethel Hurlbatt, “Sir William Peterson, k.c.m.g.,” McGill News, 12, no.4 (September 1931): 23–26. Cyrus Macmillan, “Sir William Peterson,” McGill News, 1, no.1 (December 1919): 9, 43. G. [E.] Pilkington, Speaking with one voice: universities in dialog with government (Montreal, 1983). J. F. Snell, Macdonald College of McGill University: a history from 1904–1955 (Montreal, 1963). Standard dict. of Canadian biog. (Roberts and Tunnell). S. B. Frost, “PETERSON, Sir WILLIAM,” in Dictionary of Canadian Biography, vol. 15, University of Toronto/Université Laval, 2003–, accessed April 24, 2019, http://www.biographi.ca/en/bio/peterson_william_15E.html.